The “ OSCEDays (Shenzhen) and SZOIL Public Open Day” activity was held at the OSCEDays (Shenzhen) where 23 cities worldwide, such as London, Berlin, Paris, Chicago, Rotterdam, etc., formed an international collaborative innovation network by sharing their achievements online in real time, and it brought brainstorm, exchanged ideas of each other and promoted the prototype system, products and designs for the development of the open-source circular economy. 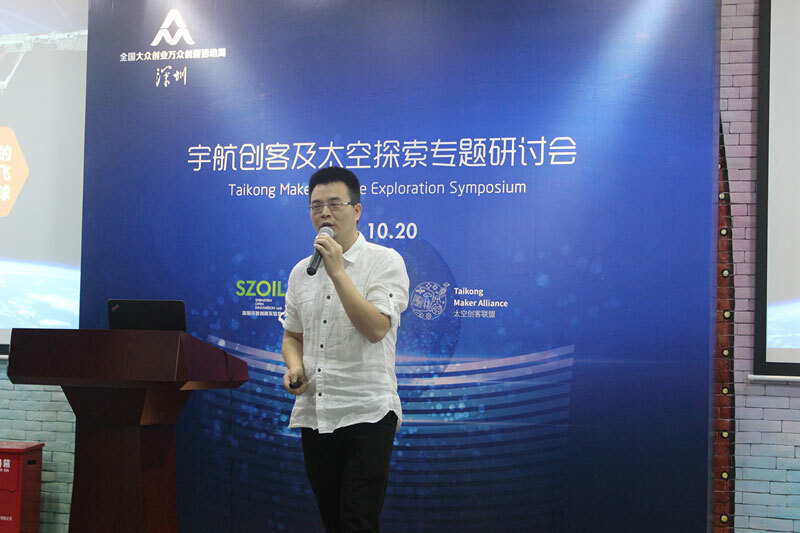 During National Mass Innovation and Entrepreneurship Week, SZOIL, as one representative of Shenzhen Makerspaces, attended the main exhibition in Beijing as well as the Space Maker theme activities in Shenzhen venue. 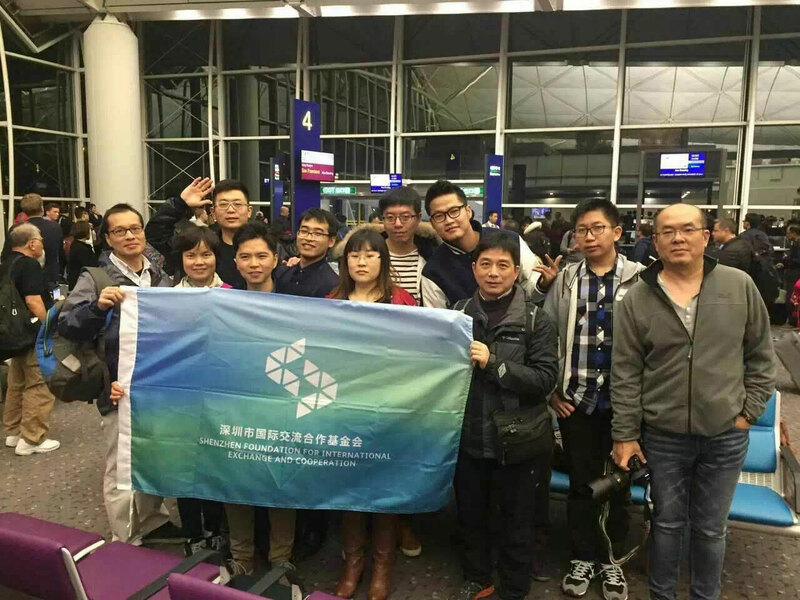 Commsat and international famous aerospace maker network SpaceGAMBIT also took part in it. The Shenzhen activities included workshops of space maker exhibition area, aerospace maker and space exploration. On the site, there were space maker scientific knowledge popularization activities, introduction of foreign aerospace maker programs, and information exchange between local and foreign maker teams. In addition, the aerospace-themed models and related videos shared the new discoveries in space with the public. 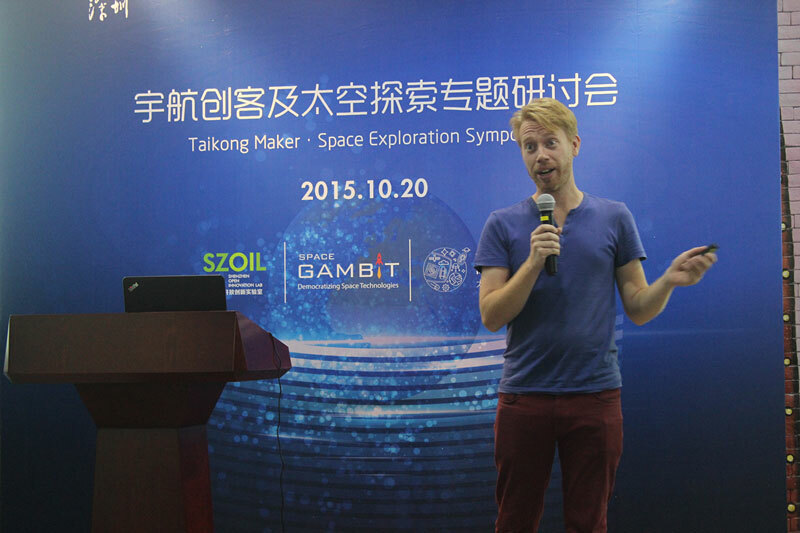 Space maker institution SpaceGAMBIT supported by DARPA/NASA was established in China and founded Space Maker League to advance the innovation and entrepreneurship in domestic space maker field. 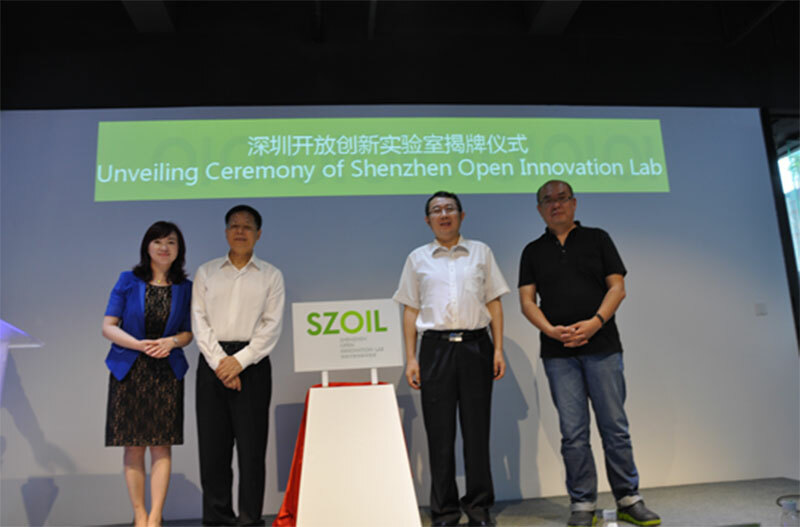 SZOIL set up a Fab Lab in Maker Workshop zone in Shenzhen venue. The lab, equipped with various tools, equipment and materials, was open to all maker fans, including general public and students from all grades. They could experience different workshops themed with individual digital manufacturing, electronic module, robots, 3D printing technology popularization and practice, bio hacker, adolescents’ maker experience, etc., in groups and finish the creation in specific time. The lab offered a chance for people to know the Maker, to participate in and experience the creation, thus to feel the craftsmanship. During the National Mass Innovation and Entrepreneurship Week, over 25 workshops were held with visitors and participants of more than 100,000. 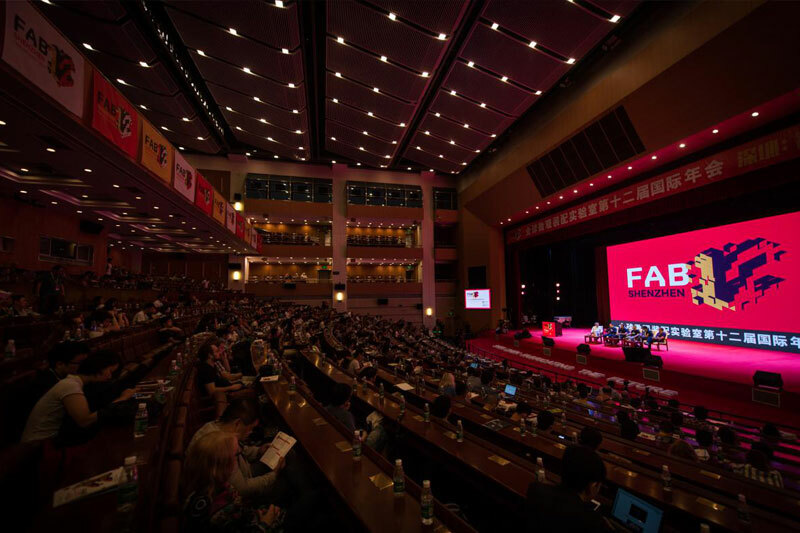 FAB12 will bring over 700 global Fab Lab network members and 2000 Fab Lab managers, key members, scientists of different fields, technical engineers and workers from 55 different countries together. The FAB12 was themed FabLab 2.0 “Fabricating the Future” (which refers to the ability to self-produce other machines or production tools so as to achieve sustainable operation, and Shenzhen will also, based on its own advantages in development of makers, work together with the international maker elites to create a sustainable and active innovation environment) and as its first appearance in China, FAB will be jointly undertaken by SIDA and SZOIL. In FAB, it will present the most advanced technologies and innovation achievements, exchange opinions on how the ability of “fabricating (any) thing” could affect individual, community, business, collaborative research, and various projects in forms of display & exhibition, theme forum, makers’ dialogue, workshop, project demonstration, makers’ trip, Fab12 public open day. “Shenzhen Makers @ World” is an international event hosted by Shenzhen Foundation for International Exchange and Cooperation, which attracted extensive public attention from across the city. As the unique makerspace organizer, SZOIL had a closer look at the great maker culture, concept and operation mode in foreign countries. 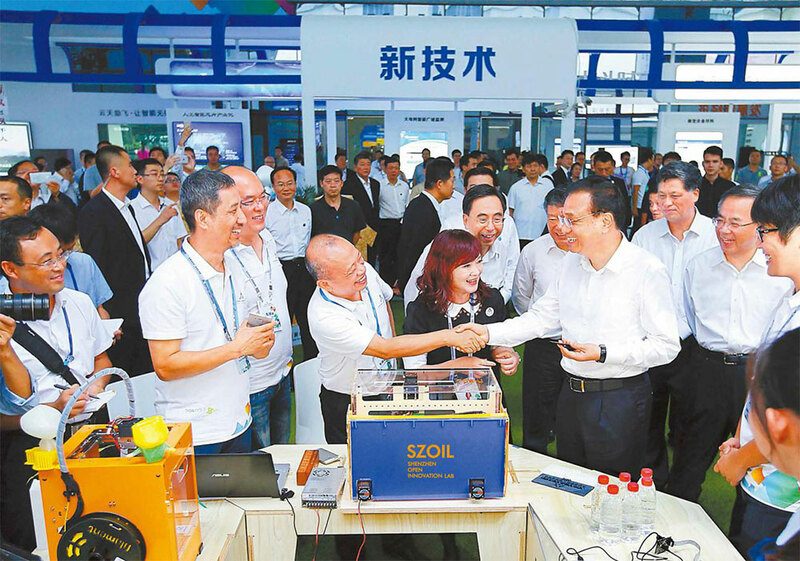 SZOIL took in the best and then powered innovation ecological chain according to the local ecosystem in Shenzhen, thus promoting the progress of Shenzhen industrial chain and maker community. Initiated by Shenzhen Foundation for International Exchange and Cooperation, Shenzhen Makers @ World was to send 10 makers to study in Silicon Valley, USA. It received broad public attention and participation across the city, and SZOIL was the only Makerspace organizer. SZOIL together with 10 makers had a field visit to Google and Intel groups, 20 and more famous makerspaces, such as Noisebridge, Sudo Room, Biocuirous, for learning exchange, and another over 30 hardware venture companies or maker teams to share maker resources in Shenzhen. During the trip, 10 Shenzhen makers were impressed by the cutting-edge technology of international maker companies and in intelligent hardware markets. 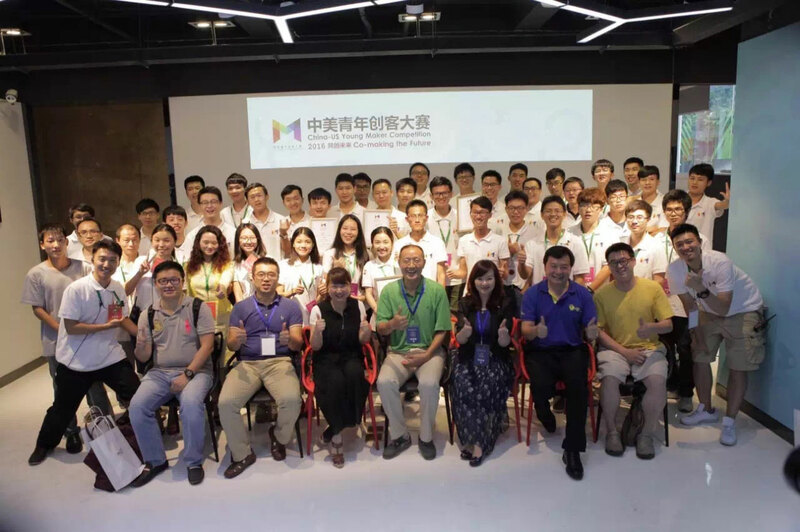 They learned the advanced maker culture, concept and operation mode in the USA, and then they took in the best parts to boost innovation ecological chain based on the local ecosystem in Shenzhen, thus promoting the development of Shenzhen industrial chain and maker community. “Shenzhen Makers @ World” is an international event hosted by Shenzhen Foundation for International Exchange and Cooperation. This year, the Foundation will join hands with British Council to bring Chinese makers to the UK, and vice versa. “Shenzhen Makers @ World: Hello, Shenzhen” is jointly held by British Council, Shenzhen Foundation for International Exchange and Cooperation, and SZOIL, aiming to build a bridge for Sino-UK maker exchange. 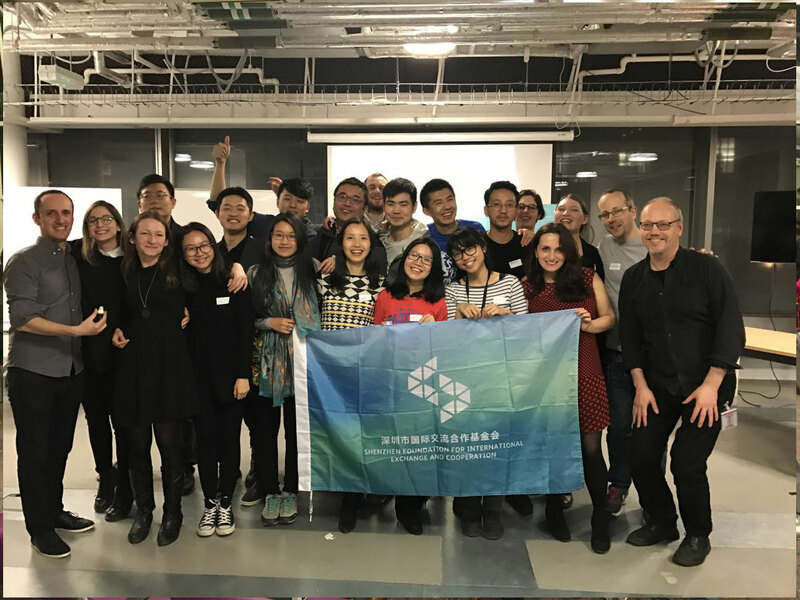 Shenzhen Makers @ World 2.0 will bring 10 Shenzhen makers to the UK in March 2017 for in-depth communication in British resident agencies. The China-US Young Maker Competition, as a supporting activity of the seventh China-US cultural exchange high-level consultation, was organized by the Ministry of Education, undertaken by the .Chinese Service Center for Scholarly Exchange (CSCSE), Tsinghua University, Intel Corporation and Beijing China Cultural Development Group, and the Shenzhen Division was organized by the Shenzhen Science and Technology Innovation Commission and undertaken by the Maker Institute. CAS and SZOIL. The competition of 2016, themed “Co-making the Future”, focused on the community, education, environmental protection, health, energy, transportation and other sustainable development fields to build new products with social and industrial value by combining innovation concept and frontier science and technology. On July 23, in the marathon firstly organized by the Global Humanitarian Lab, the ICRC initiated 3 humanitarian challenges. The 1-day humanitarian marathon was held in Shenzhen by SZOIL, which constitutes a part of the CHIC project 2015-2016, and the goal of this humanitarian marathon is to carry out a brainstorm that brings the most outstanding minds together and co-works to create products that can help to address humanitarian challenges. The students and creators have the opportunity to discuss topics of social significance and learn how to make their design thinking process from the perspective of humanitarianism. 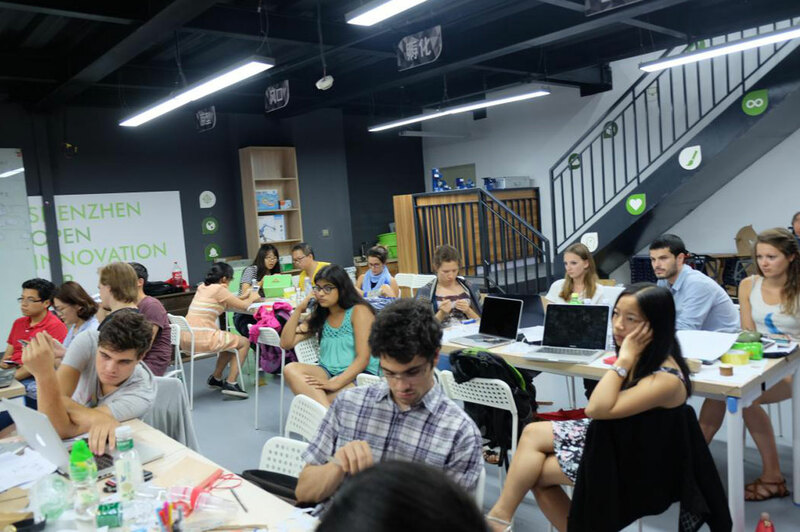 2016 ODD Summer Program cooperates with UNO to provide a great chance for university students to create some low-cost ways for crowdsourcing sustainable development, so that the pupils can join it and make saleable models. 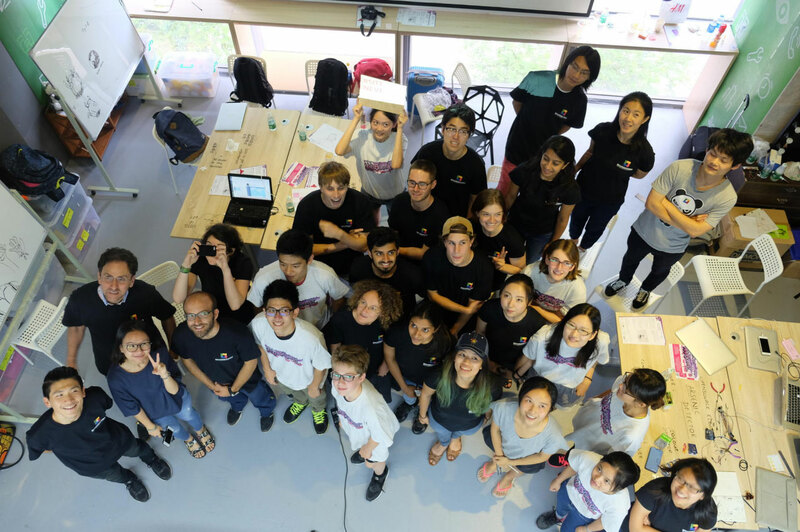 The Summer Program is jointly held by Lab for Lifelong Learning of Tsinghua University (TULLL) and supported by LEGO Foundation, Open FIESTA of Graduate School at Shenzhen (Tsinghua University) and SZOIL. Room 531, Building B4, Sino-Finish Design Park, No.3 Shihua Road, Futian Bonded Zone, Shenzhen City.